Big Brother Naija housemates, Cee-C and Nina exchanged plenty of insults in a heavy argument which almost resulted in a fight in the house. 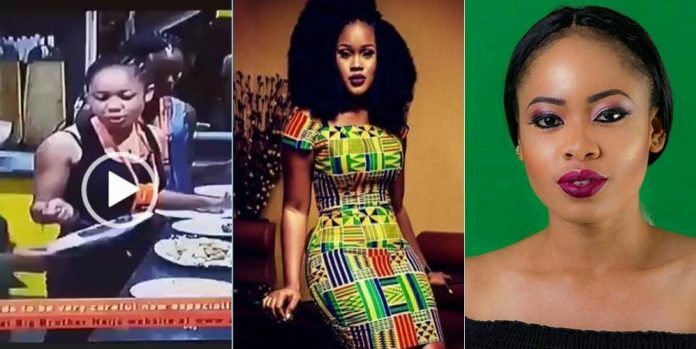 In the shocking footage, Big Brother Naija housemate Cee-C who is apparently not too happy with fellow housemate Nina over how she shared the meat recently, decided to call her out on it and that led them into a very heated argument. The pair of them were seen in a video exchanging words after Cee-C accused Nina of keeping the biggest pieces of meat for her lover Miracle.